Our executive chef truly created something of beauty for the month of March! Come enjoy for the first time ever at Ottavio, a duck confit and aged cheddar pie. Served in a piping hot cast iron skillet, you will find the smooth mix of duck, mushrooms and caramelised onions in a Porto demi glace. 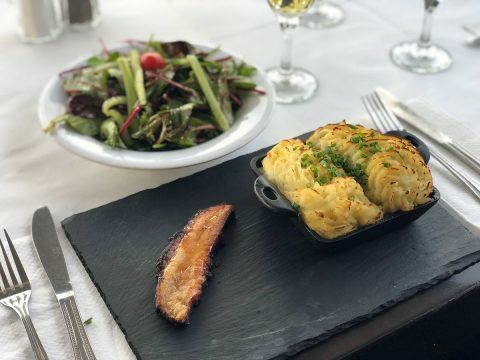 Covered in rich melted aged cheddar and a roasted home made potato puree and served with a pork belly and a side of green salad, this creation will have you wanting MORE!! !